Today, we assessed the economic and monetary data which had become available since our last meeting and discussed the new ECB staff macroeconomic projections. Overall, while the available evidence so far suggests resilience of the euro area economy to the continuing global economic and political uncertainty, our baseline scenario remains subject to downside risks. Our comprehensive policy measures continue to ensure supportive financing conditions and underpin the momentum of the euro area economic recovery. As a result, we continue to expect real GDP to grow at a moderate but steady pace and euro area inflation to rise gradually over the coming months, in line with the path already implied in our June 2016 staff projections. The Governing Council will continue to monitor economic and financial market developments very closely. We will preserve the very substantial amount of monetary support that is embedded in our staff projections and that is necessary to secure a return of inflation to levels below, but close to, 2% over the medium term. If warranted, we will act by using all the instruments available within our mandate. Meanwhile, the Governing Council tasked the relevant committees to evaluate the options that ensure a smooth implementation of our purchase programme. Let me now explain our assessment in greater detail, starting with the economic analysis. Euro area real GDP increased by 0.3%, quarter on quarter, in the second quarter of 2016, after 0.5% in the first quarter. Incoming data point to ongoing growth in the third quarter of 2016, at around the same rate as in the second quarter. Looking ahead, we continue to expect the economic recovery to proceed at a moderate but steady pace. Domestic demand remains supported by the pass-through of our monetary policy measures to the real economy. Favourable financing conditions and improvements in the demand outlook and in corporate profitability continue to promote a recovery in investment. Sustained employment gains, which are also benefiting from past structural reforms, and still relatively low oil prices provide additional support for households’ real disposable income and thus for private consumption. In addition, the fiscal stance in the euro area is expected to be mildly expansionary in 2016 and to turn broadly neutral in 2017 and 2018. However, the economic recovery in the euro area is expected to be dampened by still subdued foreign demand, partly related to the uncertainties following the UK referendum outcome, the necessary balance sheet adjustments in a number of sectors and a sluggish pace of implementation of structural reforms. The risks to the euro area growth outlook remain tilted to the downside and relate mainly to the external environment. This assessment is broadly reflected in the September 2016 ECB staff macroeconomic projections for the euro area, which foresee annual real GDP increasing by 1.7% in 2016, by 1.6% in 2017 and by 1.6% in 2018. Compared with the June 2016 Eurosystem staff macroeconomic projections, the outlook for real GDP growth has been revised downwards slightly. According to Eurostat’s flash estimate, euro area annual HICP inflation in August 2016 was 0.2%, unchanged from July. While annual energy inflation continued to rise, services and non-energy industrial goods inflation turned out to be slightly lower than in July. Looking ahead, on the basis of current oil futures prices, inflation rates are likely to remain low over the next few months before starting to pick up towards the end of 2016, in large part owing to base effects in the annual rate of change of energy prices. Supported by our monetary policy measures and the expected economic recovery, inflation rates should increase further in 2017 and 2018. This pattern is also reflected in the September 2016 ECB staff macroeconomic projections for the euro area, which foresee annual HICP inflation at 0.2% in 2016, 1.2% in 2017 and 1.6% in 2018. In comparison with the June 2016 Eurosystem staff macroeconomic projections, the outlook for HICP inflation is broadly unchanged. Turning to the monetary analysis, broad money (M3) continued to increase at a robust pace in July 2016, with its annual rate of growth standing at 4.8%, after 5.0% in June. As in previous months, annual growth in M3 was mainly supported by its most liquid components, with the narrow monetary aggregate M1 expanding at an annual rate of 8.4% in July, after 8.7% in June. Loan dynamics followed the path of gradual recovery observed since the beginning of 2014. The annual rate of change of loans to non-financial corporations increased to 1.9% in July 2016, compared with 1.7% in June. The annual growth rate of loans to households remained stable at 1.8% in July. Although developments in bank credit continue to reflect the lagged relationship with the business cycle, credit risk and the ongoing adjustment of financial and non-financial sector balance sheets, the monetary policy measures in place since June 2014 are increasingly filtering through to support borrowing conditions for firms and households and thereby credit flows across the euro area. To sum up, a cross-check of the outcome of the economic analysis with the signals coming from the monetary analysis confirmed the need to preserve the very substantial amount of monetary support that is necessary in order to secure a return of inflation rates towards levels that are below, but close to, 2% without undue delay. Monetary policy is focused on maintaining price stability over the medium term and its accommodative stance supports economic activity. As emphasised repeatedly by the Governing Council, and as strongly echoed in both European and international policy discussions, in order to reap the full benefits from our monetary policy measures, other policy areas must contribute much more decisively, both at the national and at the European level. The implementation of structural reforms needs to be substantially stepped up to reduce structural unemployment and boost potential output growth in the euro area. Structural reforms are necessary in all euro area countries. The focus should be on actions to raise productivity and improve the business environment, including the provision of an adequate public infrastructure, which are vital to increase investment and boost job creation. The enhancement of current investment initiatives, including the extension of the Juncker plan, progress on the capital markets union and reforms that will improve the resolution of non-performing loans will also contribute positively to this objective. In an environment of accommodative monetary policy, the swift and effective implementation of structural reforms will not only lead to higher sustainable economic growth in the euro area but will also make the euro area more resilient to global shocks. Fiscal policies should also support the economic recovery, while remaining in compliance with the fiscal rules of the European Union. Full and consistent implementation of the Stability and Growth Pact over time and across countries remains crucial to ensure confidence in the fiscal framework. At the same time, all countries should strive for a more growth-friendly composition of fiscal policies. Question: You said you've tasked relevant committees with looking at potential instruments going forward. My question is, how much time do they have to reassess and decide? And how close are we to the extension of the QE programme, considering that we're just six months away from your deadline for the end of it? Draghi: We tasked the relevant committees to work, as I think I said, on the smooth implementation, and the changes that are needed to ensure a smooth implementation of our programme. And we discussed the assessment of the economy and we discussed the broad macroeconomic projections, but we didn't discuss anything else. [Asked to address second question on extension of QE] That's what I'm saying: we didn't discuss it. Question: You have excluded bank bonds from your bond-buying programme: why? The second question is, given that you are already buying corporate bonds, what stops you from buying corporate equity? Draghi: I would answer both questions at the same time: our programme is effective and we should focus on its implementation. The current projections do reflect the full impact of our March decisions and we will continue with the implementation of the existing programme. Question: I'm just wondering how we should read the decision to set up these committees to look into redesigning QE, or possibly looking at new measures. Is this because you think we'll hit shortages of assets to buy before March 2017, or should we take this as something of an acknowledgement of the need to extend the aggressive policies beyond next spring? For my second question, we've seen you slightly downgrade the outlook for growth and inflation again, and stress that the risks remain towards the downside. Now, we know that if growth is low for a long time and unemployment is high then that can cause quite devastating long-term damage to economies, and also if inflation is low for a long time, it can risk de-anchoring inflation expectations. So my second question is, why not do more now, in light of these forecasts? The Governing Council tasked the relevant committees to evaluate the options that ensure smooth implementation of our purchase programme, and – let me remind you what I just said in the introductory statement – our purchase programme is intended to run until the end of March 2017, or beyond if necessary, and in any case until the Governing Council sees a sustained adjustment in the path of inflation consistent with its inflation aim. As far as your second question, why we haven't acted now: the assessment was that for the time being the changes are not substantial, as to warrant a decision to act. We see that our monetary policy is effective – and we can discuss it later; it's fully effective, in fact. We see that the full impact of the March decisions is now in the macroeconomic projections, but we also see that there have been considerable decreases in all interest rates, for example long-term interest rates are now below, I think, 43 basis points of what they were before. And these low rates do reflect to some extent expectations of a continuation, as I just said, of the extraordinary monetary policy support that's been extended. Question: The ECB has published a working paper saying that there are some signs of inflation expectations becoming unanchored. Market-based inflation expectations have hovered around record lows again, and you just cited Peter Praet: he said there are still no signs of underlying inflation picking up, and yet you didn't act today. So could you perhaps explain to us a little bit how you read that data, and what signals you take from it? Why it's not more concerning in your view, concerning enough to act? And then you just said you would tell us a little bit more on how effective your policies are, so it would be great if you could do that, because the fact still is that no matter what counterfactual you are able to present, we are still far below target. Inflation is at 0.2%. Wouldn't it perhaps be time, rather than just tasking committees to ensure the effective implementation of current policies, to think about new remedies and a different approach? Draghi: First let me answer the second question. Inflation is following the baseline scenario, so from that viewpoint, no more, no less. It will take a little longer than our previously forecast horizon to get to a level below 2%, but not much longer. So for the time being, the main thing was to make sure that the programme and the decisions that were taken in March can be implemented in the new constellation of interest rates, much lower interest rates, which clearly have restricted the eligibility universe, and that's why we task the committees. So again, I can repeat, the existing projections are predicated, remain conditional, on exceptionally supportive financing conditions, which to a large extent do reflect our monetary policy, and therefore the Governing Council tasked the committees. And I remind you again that our programme is meant to run to the end of March 2017 or beyond if necessary, and in any case until the Governing Council sees a sustained adjustment in the path of inflation consistent with its inflation aim. Even today's discussion reiterated basically the unanimous commitment of the Governing Council to reach the inflation rate objective. So I would say there is no question about – as I think I've said on other times – the will to act, the capacity to act, and the ability to do so. Your first question about expectations: we're observing two types of behaviour here. We have the non-market based expectations, the SPF, which are by and large stable, and they tell us 0.3% for 2016, 1.2% for 2017, 1.5% for 2018, but the long-term inflation expectations remain stable at 1.8%. And then we have the market-based expectations which have been trending down, I would say more markedly after Brexit, but even before. Even, I think, before. How do we explain this? It's not easy to explain. Certainly one explanation for what happened after Brexit, or just around Brexit time, when these expectations declined considerably, one explanation is that these expectations are market-based and are based on bonds, bonds that are traded, and there have been significant market dislocations which altered the price of these bonds in a way that would not fully reflect the inflation expectation component. But after that it's harder to explain, and it's more difficult. Let me also say, however, that these expectations are subject to considerable volatility, and that we have observed even in the past disconnect between the behaviour of these expectations and the behaviour of, for example, oil prices. So the conclusion of this reasoning is that we are monitoring these developments very closely, and we stand ready to act if we were to detect the signals that there could be second-round effects at play here. Let me also add that all the evidence we have about probability of deflation measures, for example, they have not increased. Question: I have two questions as well. First on the effectiveness, as well, of your monetary policy: would you say that more stimulus has a decreasing marginal return? I mean, the more you add, the more it can't help? Or would you say the more you add the more it helps? My second question would be whether you're increasingly concerned about the negative side-effects your policy is having, looking at what happens to the banking industry in the eurozone, looking at what happens to insurance companies; and also whether you believe that your stimulus is really reaching those who actually would benefit from it, like the middle class, who probably have still capacity to spend more, or whether your policy is benefiting most those people who anyway don't have a high propensity to spend because they are well off. 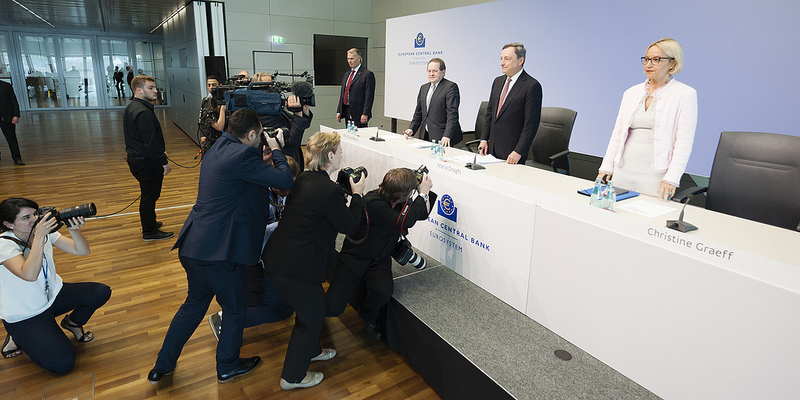 Draghi: The first question relates to the effectiveness of our monetary policy. Well, I don't want to go through the list of financial variables, namely interest rates, equity prices, et cetera, that have improved dramatically since the beginning of our non-conventional monetary policies. But let me say one thing, which is probably the thing that matters most: while in the previous time we had observed fragmentation and we had observed very subdued credit developments, nowadays we can safely say that fragmentation is over; that credit is growing constantly and has been growing constantly since the beginning of 2014, month after month; that spreads that were dramatically fragmenting credit between different parts of the euro area, and different companies – between large corporates and SMEs – have vastly disappeared in the sense that they just reflect now what are risk differentials and nothing more than that. Let me also say that from any bank lending survey, it appears that now credit is indeed reaching the non-financial sector of the economy, both for private companies and households. So I would conclude that our policy has been very effective. And your question was, since your assumption is that it was weakly effective, then “would you consider doing more of that?” I think my answer to that is, “certainly, if that's needed to reach our objective.” But suppose we had not done that, what would the situation be? There are interesting analogies here showing that, especially over the last six, seven months, the stimulus of our monetary policy basically counteracted the negative impact of shocks happening in other parts of the world. You remember at the beginning-of-the-year shocks; then we had Brexit, of course. If we had not done that, the negative part of these shocks would have been affecting the euro area without any other factor offsetting it. Your second question was on the negative side-effects of our monetary policy. Well, first let me reiterate that we have a mandate and the Governing Council is unanimous about complying with this mandate, which foresees the return of the rate of inflation to a level which is below but close to 2%. Second, in a sense I've answered that in the first part of my answer: I would say that the transmission of our monetary policy has never worked better than it does today. We see changes in interest rates in different parts of the markets that are immediately transmitted into changes in lending rates. Volumes of lending, as I just said, are regularly increasing, and the surveys show both demand and supply going up. Surveys show that risk aversion is no longer a factor in lending, but it's actually competition between banks that's driving lending. The third consideration is that, some people are saying, negative interest rates would carry the risk of cash hoarding, hoarding cash. Well, we don't see that. I mean, there are limited stories that obviously have a lot of coverage, but it's really not there. Then there are issues about bank profitability. That's a point you touched upon. So far – and I want to stress the so far – we have not seen that. We've seen that, for example, bank profits went down between the first quarter of 2015 and the first quarter of 2016 by something like 20%, but they went down by 20% because in the first quarter of 2015 banks posted huge capital gains because of the beginning of our purchase programme. While, if you look at the net interest income, that stayed by and large stable. Does it mean that it's going to be this way forever? Of course not. We are aware that the current situation of negative interest rates will certainly have consequences and challenges for the banks of which we have to be aware. However, a few concluding observations: first of all, I think low interest rates should not be used as the justification for everything that goes wrong with banks today. I think it would be a mistake to do so. And second, I think ultimately we've got to be patient. Interest rates have to stay low for the economic recovery to proceed, for the economic recovery to firm up, which in the end will have a positive effect on banks' balance sheets as well. So as I think I said on another occasion, interest rates have to be low today to be high tomorrow. Question: My first question was on interest rates. You said that they'll stay at the same level or lower into the future, and you've said before that they could be cut again. It seems as though ECB officials have been expressing greater scepticism about negative rates recently, and during the July meeting, for instance, there was a discussion about whether that was undermining banks' ability to make loans. Is there a sense that interest rates are now a second-best tool and the QE is a priority? My second question is on what governments should do to help. You seemed to make a longer statement than usual on this, and I think Janet Yellen also made a point about how maybe governments and central banks needed to work together in order to get out of the current situation. Is that correct, that you think that the ECB couldn't do this on its own? That there needs to be governments selling more debt in order for your bond purchases to work? Draghi: To your first question, as I just said, right now the transmission mechanism is really working very well. It's never worked better. So the ability to make loans is not being affected by negative interest rates. Also, consider that that's only one side of the story. We also have the TLTRO, and especially the TLTRO-II, which is helping the banks' balance sheet on another side. So I wouldn't take this criticism as serious now. Now, on the second question, just let me read to you the press communiqué of the G20 which just came out on September 5: “We are determined to use all policy tools – monetary, fiscal and structural – individually and collectively to achieve our goal of strong, sustainable, balanced and inclusive growth. Monetary policy will continue to support economic activity and ensure price stability, consistent with central banks’ mandates, but monetary policy alone cannot lead to balanced growth. That's the answer to your second question. But basically it's something I just said, I've been saying now for months: that to reap the full benefits – and I think I did say this even in the introductory statement today – to reap the full benefits of an extraordinarily accommodative monetary policy, one needs other policies. Question: The first one is on the future work of the committees and the options they should look at. Does this include also the capital key, or would you argue that changes to the capital key are politically too sensitive to really discuss them? The second question, also, is a follow-up on the discussion about the effectiveness of QE. At the start of the year you presented us some pretty precise figures about the effects on growth and inflation of the measures since mid-2014. I would assume that you have some updated figures, including the package in March 2016 and December 2015, so it would be great if you share them with us. Draghi: The committees have full mandate. They will look at all the options that might be used to redesign the programme under the new constellation of interest rates, and then we will have, of course, a discussion in the Governing Council about issues like the one you mention and others as well. But for the time being they will examine – they will have a broad exam of all the options. The second question: yes, indeed, we have numbers showing the impact of our monetary policy on growth and inflation over the forecast horizon. I think – but I should check – because I don't remember them exactly – I think it's 0.5% over the forecast horizon as far as growth is concerned, and I think it's 0.3% as far as inflation. Or – but we'll have to check that. Let me do this. I'll check and let you know after. Or it's 0.3% and 0.5% – it's either – over the forecast horizon, from now. I think we should be able to give you full figures in a moment. Question: A lot of people hope that you consider the option of buying stocks, or even hope you consider the option of helicopter money. Do you so, and if not, do you rule that out? The second one is, can you guarantee that for the average consumer the interest rate will remain positive? Draghi: We haven't discussed either, so I can't answer the first question other than to say that we've not discussed them. The average consumer is actually the one who is now being the main actor in the recovery. This recovery is based – and that's why it's firmer, more robust than other recoveries we've seen in the past – it's based on consumption. Domestic consumption. Differently from past recoveries that were based more on exports, and then as soon as external conditions changed, they waned. So that's important, and of course the drivers of this recovery remain our very accommodative monetary policy – we in fact observe a continuation of growth in real disposable income, which of course feeds into consumption; the still relatively low oil prices; and what looks like a slightly more expansionary fiscal policy. Question: You've been urging governments to act for some time, and I'm wondering if there's a sense that maybe they might now be a little more willing to act and that the ECB could encourage that willingness by not raising excessive expectations about future monetary policy measures, hence the tone today. Draghi: The ECB can't be in a sort of – let me say, what the ECB can do is to basically flag what is needed for monetary policy to be even more effective than it is at the present time. And I think what I just read from the G20 is quite a powerful statement of commitment. The G20, just to make sure you know – it's not central bankers. It's governments. It's finance ministers. So they committed in their statement to use all policies – structural policies, fiscal policies, tax policy – and to make government expenditure more growth-friendly, which is something that all of you have heard me saying several times. To say, basically, that the composition of fiscal policy is as important if not more important than its size. After all, before the financial crisis, we have seen several countries in the eurozone increasing their government expenditure, and really drawing very little benefit in terms of output growth and employment, showing perhaps that size is not the first thing one should look at, but rather how this money is being spent. And you heard me saying several times that a growth-friendly fiscal policy is one where taxes are lower, current government expenditure is lower, and investment is higher. And it's encouraging to read this press communiqué because it really means a collective commitment by the governments of the G20, of the world. The Vice-President just gave me the figures here. It’s an accumulated upward impact on GDP growth of 0.6% over the projection horizon , marginally above the impact entailed in the June 2016 projections. In particular the September projection also entails a small impact on real GDP related to the corporate bond programme, which in the meantime has taken off the ground, and which led to a further stronger-than-expected narrowing of corporate bond spreads since June. For inflation, the cumulative impact is 0.4% over the projection horizon, in line with what was forecast in June. If you want to have the figures in 2015, then I'll provide you – I mean, I have the ones for June. Question: You said before the options of buying shares, corporate shares, or even doing helicopter money, were not discussed at all. Would you subscribe to this formulation: “We didn't discuss it yet”? That's my first question. The second one: you outlined this bold statement of the G20, but the facts are there. According to the Ifo German institute, there will be a German current account surplus of €280 billion this year, so it's simply the world championship in this category. There are calls from Brussels and from Washington to Berlin to promote imports and to do more to support domestic demand, and then to contribute to less trade imbalances between countries. Would you join this call, especially to Germany, that could be maybe part of your message you will deliver to the deputies of Bundestag at the end of this month? 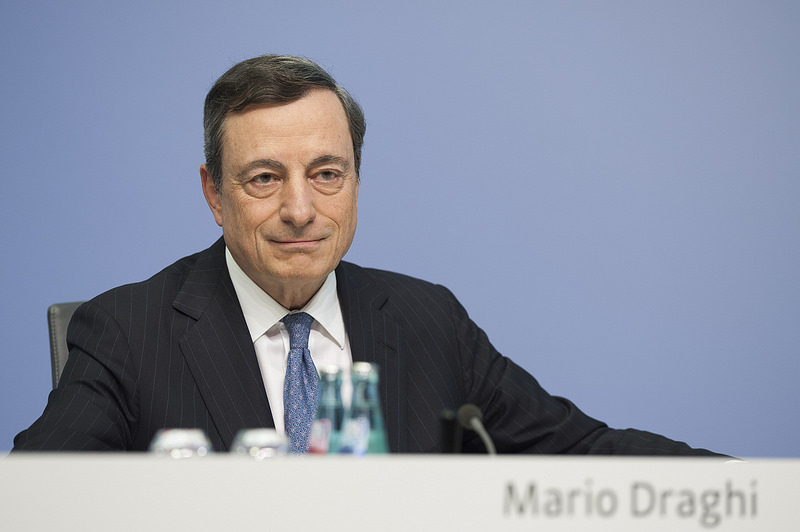 Draghi: First of all, I can't answer positively to the first question. Let's say we haven't discussed whether to discuss it yet or not. So it's just we haven't discussed it. On the second question, clearly to be in line with the recommendations of the Commission, lower surpluses, or a lower surplus for the euro area, would be welcome. And certainly any action to this extent is to be welcomed. But I've always been a little puzzled by the idea that is sometimes conveyed with these words. It's not like we can lower the surplus if we push a button. It's not a planned economy. If an economy is naturally competitive, one can do economic policies that sort of get the benefit of this surplus and transform it into domestic aggregate demand, and I think that's the implicit recommendation. And that could be said in different words. Countries that have fiscal space should use it, and countries that don't have fiscal space should instead focus – or should also focus, rather – on the composition as a primary fiscal tool. But it's not – I always was kind of puzzled thinking that you can lower the surplus and then you move around these aggregate demand components: no, it doesn't work that way. Question: Earlier this week, Mr Schäuble said that there is too much liquidity in the market. Do you fear that there could be German opposition to the eventual extension of QE? And when you say that some countries have margins to make investments, do you mean Germany especially? They presented the budget this week and they said they give a lot of money to refugees, and this is true, but do you think they could do more for investment in infrastructure or other measures to push growth? Draghi: To your first question, I think Mr Schäuble was referring to world liquidity and not eurozone liquidity as such. But it's very difficult to estimate what's the adequate amount of world liquidity. It does depend on many other variables, one of which is the state of the economy, and of course for us what matters is price stability, because we have this in our mandate. So liquidity is, if we look at that from our central bank perspective, like the size of our balance sheet, just a monetary policy instrument that we have to use for reaching our objectives. The second point is, as I said before, countries that have fiscal space should use it. Germany has fiscal space. Question: Imbalances in the TARGET2 payment system have been rising quite significantly recently and in some cases they are reaching the level of the height of the euro crisis in 2011-2012, like in the claims of Germany and the liabilities of Italy. In a recent paper the Dutch national bank has attributed this to QE: liquidity created by the asset purchases by national central banks in the southern European euro area states flows – according to the Dutch national bank – to countries like Germany, the Netherlands, Luxembourg. And according to them this is because investors view these countries as less risky, and they say that this points to persistent fragmentation in the euro area. Do you share this analysis and are you at all worried about that? Draghi: The answer is no, I don't share it, and I'm not worried. The reason why TARGET2 balances go up following our QE has much to do with the settlement of the claims that arise with the implementation of QE. To the extent that these claims are settled by intermediaries that then redeposit this money in Germany or in the Netherlands, you will naturally see TARGET2 balances going up, and that has nothing to do with fragmentation. In other words, it's a completely different phenomenon from what we observed in 2012 and 2011. Question: The latest figures for wage growth in Germany have been the lowest for, I think, more than five years. How worried are you about that? And would it not be necessary to have much higher wages in Germany also to reduce the current account surplus and to better balance the current account in the eurozone? And my second question is on the inflation target: there's now an ongoing discussion, or some economists propose that the ECB should target a level of nominal GDP instead of inflation. What do you think about that? Draghi: We haven't really discussed the second point. And frankly, the reasons why it was chosen, a 2% target, many years ago, are still there, but we didn't have this discussion yet. I'm sorry, I added a “yet” too much. We didn't have that discussion. Your first question is absolutely right. 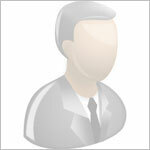 Wage determination is a result, an outcome of the interplay of forces. You have the employers and the employees. But what one can make today – what central banks, what economists can make – is an indisputable case for the benefits of having higher wage growth. In fact, because of oil prices, because of the big slack in labour market in the last few years, we had low inflation for a long time, and one of the questions we are asking ourselves is, “Is this protracted low inflation – has it filtered through wage negotiations somehow? Either because you have indexation mechanisms, because they're formal or informal, or through the negotiation process?” If that were true, we would be extremely concerned, and we are monitoring these developments very closely. But the case for higher wages is unquestionable. Please see below in the paragraph starting with “The Vice-President…” for the impact of monetary policy measures adopted in December 2015 and in March 2016 on growth and inflation. The estimates refer to the effects of monetary policy measures decided in December 2015 and March 2016 for the period 2016-2018.